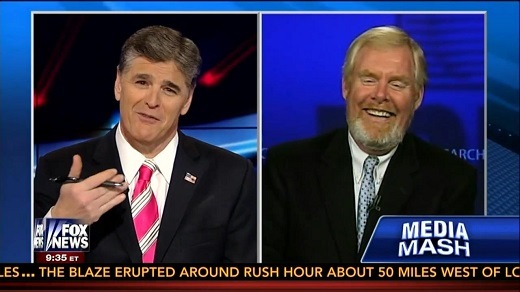 Appearing on the May 2 Hannity program for the weekly “Media Mash” segment, NewsBusters publisher Brent Bozell noted that while the broadcast networks devoted considerable airtime in their news programming to courtroom sagas such as the murder trials of Amanda Knox and Jodi Arias or civil court proceedings like the Michael Jackson wrongful death lawsuit, they virtually ignored the trial of Philadelphia abortionist Kermit Gosnell. Also discussed on last night’s “Media Mash” were the media’s ongoing "sequester" bias as well as how the media continue to show an utter lack of interest in Benghazi, even as whistleblowers are coming forward to Fox News with criticism of the Obama State Department’s handling of the fiasco. “Joe Wilson and Valerie Plame... don’t you remember how the media gave endless coverage” to them, Bozell asked. Back in the Bush administration, the media hyped every anti-Bush administration critic that came down the pike but are showing utter disinterest on Benghazi, even though Obama administration failures cost four Americans their lives last September 11.